The latest technology lets you work just about anywhere. That doesn’t mean just anywhere will do. 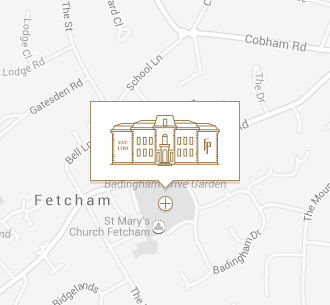 Offices at Fetcham Park Surrey are flexible and professional. We’ll tailor your fully serviced office to suit your brand, your budget, and the way you like to work. You can just plug and play, with no capital investment or long-term commitment. At the same time, our offices meet the highest standards. They’re private, distraction-free spaces in an historic setting close to the M25/A3, equipped with everything you need to maximise efficiency, from innovative IT to designer ergonomic furnishings. What’s more, we’ll build a productive relationship with your business to support you as you work. It’s flexible workspace that doesn’t ask you to be flexible on your standards. At Fetcham Park in Surrey, we’ve retained tradition but added the latest technology. Our IP telephony system is based on the industry-leading Avaya Aura platform. Step into one of our serviced offices – they’re stylish spaces that speak for themselves. However, since we’ve been in this business for more than 20 years, we know it takes more than style to make things work. That’s why we put supportive relationships at the centre of everything we do. When you move into one of our prestigious offices at Fetcham Park, you get more than a room to work in. You get the simplicity of a single agreement on your own flexible terms, the freedom to expand or downsize as business dictates, and an extended team to call your own, from our friendly Client Service Representatives to gardeners and technical support. This means that you can put all your energy into pushing your business forward, while we keep your office up-and-running. With a serviced office, there’s no need to tie up your capital or spend money on depreciating assets like furniture and furnishings. Leave all that to us. Just pay for the space you use on a simple per desk, per month basis and then pay for consumables, like telephone calls, with a simple itemised invoice. Workstations start from £450 per desk.